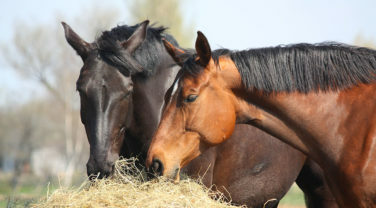 It’s likely that gastric ulcers or equine gastric ulcer syndrome (EGUS) have been afflicting horses ever since they’ve been domesticated and their normal feeding patterns have been disrupted. The reason they have become more frequently diagnosed is that more vets now have long enough endoscopes (3 metres) to see inside the horse’s stomach. 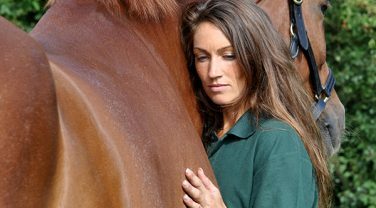 Many studies have been carried out to show the incidence of ulcers in racehorses is consistently 90% or more but it is a problem that can affect any horse and levels of 40% are reported for leisure horses. It is also apparent that there is no link between the severity of the ulcers and the symptoms – some horses are clearly very stoic with grade 4 ulcers and no signs of any problems visible on the outside! 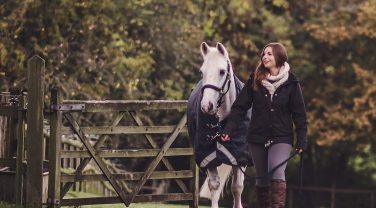 Symptoms are not always very easy to distinguish from other issues but if your horse is underweight, has a dull coat, objects to being girthed up or has intermittent colic symptoms then ulcers could be the cause and you should discuss this with you vet. Research has shown that FOS prebiotics positively affected the type of bacteria in the horse’s stomach – increasing those that “mop-up” acidity. My horse is an eventer and is working quite hard but has recently been diagnosed with ulcers. My vet has told me to just feed fibre - can I really do that and still compete at a decent level? Absolutely! Alfa-A Oil is our highest energy feed at 12.5MJ DE per kg which is comparable to a competition or conditioning mix. However, it contains around 10 times less starch than a cereal based feed with a comparable energy value so is much better for gut health. 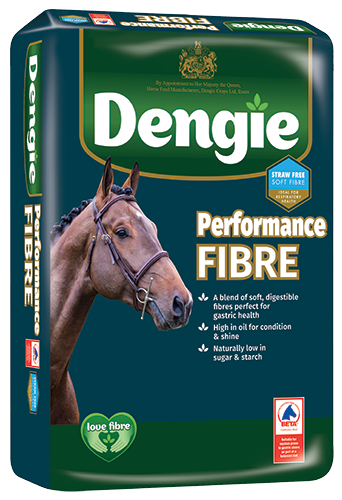 The fibre and oil provide slow release energy and so you may find that your horse’s behaviour and focus improves too – a study we supported a few years ago showed that horses on fibre and oil based diets were less reactive to novel stimuli than those on a cereal based ration. Don’t just take our word for it though. 4* eventer Lucy Jackson has competed at the highest level on a fibre based diet! My horse has ulcers and doesn’t seem to want to eat much hay. He really doesn’t seem to like chops, what else can I use so he spends more time eating? If you can turn out on good grazing then that would be a great starting point. In addition it would be good to get some alfalfa into his ration as it is a natural buffer to acidity. There are some pelleted versions of alfalfa that you can use: pure Alfalfa Pellets can be fed dry or dampened with water if he prefers them that way or Alfa-Beet which is a combination of unmolassed sugar beet and alfalfa which must be fed soaked before feeding. Although a horse would tend to consume a pelleted/soaked version of alfalfa more quickly than chopped fibre and therefore spend less time chewing, the main aim in this situation is to increase fibre intake and find a form of fibre your horse likes. Once the ulcers have healed you may find your horse’s appetite picks up a bit and you can try introducing some chopped fibre again. My cob is a really good doer and so is on very limited hay and basically no grazing. She has had ulcers in the past and I know I need to feed as much fibre as possible but I’m worried about her putting on weight. I’m also concerned about using low calorie feeds as they contain straw and I’ve read I shouldn’t feed it as it can cause ulcers? 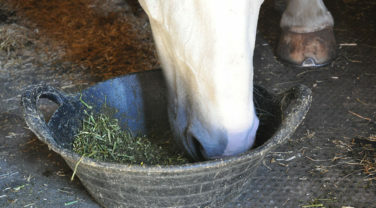 The minimum amount of forage your horse should ideally be consuming is 1.5% of her bodyweight. To try to promote good gut health the total daily ration should be divided into as many small offerings as possible so the period of time she isn’t eating is as short as possible. Research by Luthersson and colleagues showed that if the time between eating was more than 6 hours, the risk of ulcers increased. Straw can be a really useful feed material for good doers as it provides “chew-time” without too many calories. In the study by Luthersson and colleagues, they also found that when straw was the sole source of forage it increased the incidence of ulcers. However, the important part of this finding was that straw was the only type of forage fed. 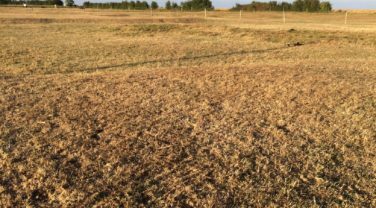 There is no reason why straw can’t be used alongside other forages such as alfalfa and grass hay to increase fibre intake for good doers. 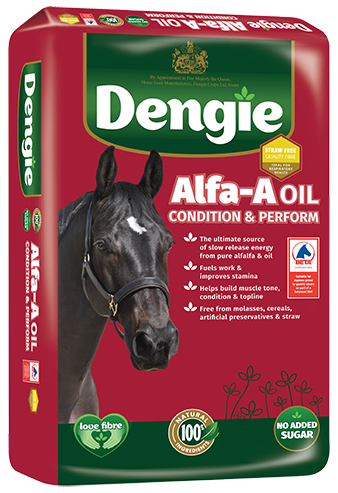 Feeds such as Hi-Fi Lite or Hi-Fi Molasses Free would therefore be suitable options for your horse. 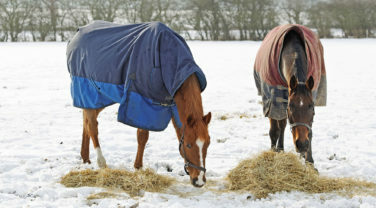 With so much feeding and management advice now available for owners of horses with Equine Gastric Ulcer Syndrome (EGUS), Dengie commissioned a survey in 2018 to explore awareness and use of the key feeding and management strategies recommended. 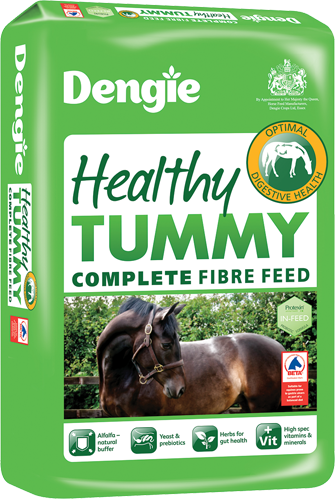 The Dengie nutrition team have put together their top tips for feeding the ulcer prone horse which should be implemented alongside any medication that your vet has prescribed.